The U.S. 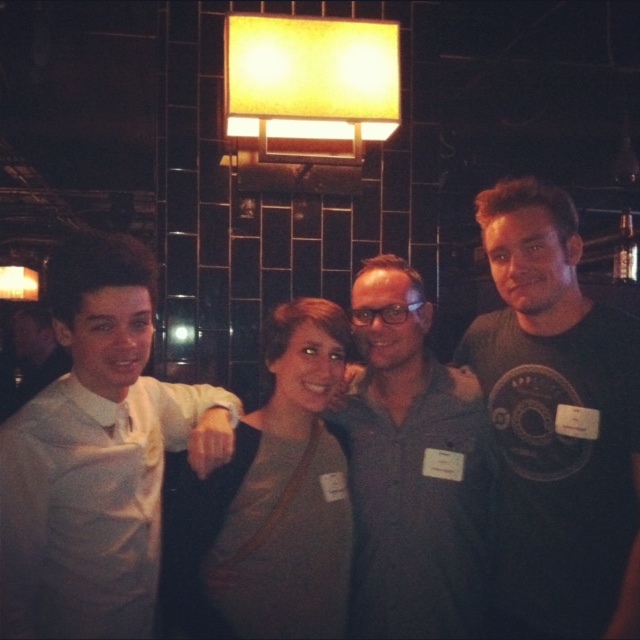 Believe Digital team at a recent Believe-sponsored event in New York City. From left to right: Paris Rabone, Jen Brown, Shane German, Jett Wells. Believe Digital is ecstatic to announce the opening of its new office in New York City. Headed by Shane German, a longtime employee of America’s SoundExchange, the office celebrates its opening this month. Located in Brooklyn, New York, the U.S. office is part of Believe’s ever-expanding worldwide network. Shane is accompanied by Jett Wells and Jen Brown, two music enthusiasts with backgrounds from the indie sector who have a wealth of experience in social media, and Paris Rabone, who is getting his start in the industry by interning with Believe Digital. The new office will further help our musicians’ access to audiences abroad! Follow the U.S. office on Twitter at @Believe_USA.